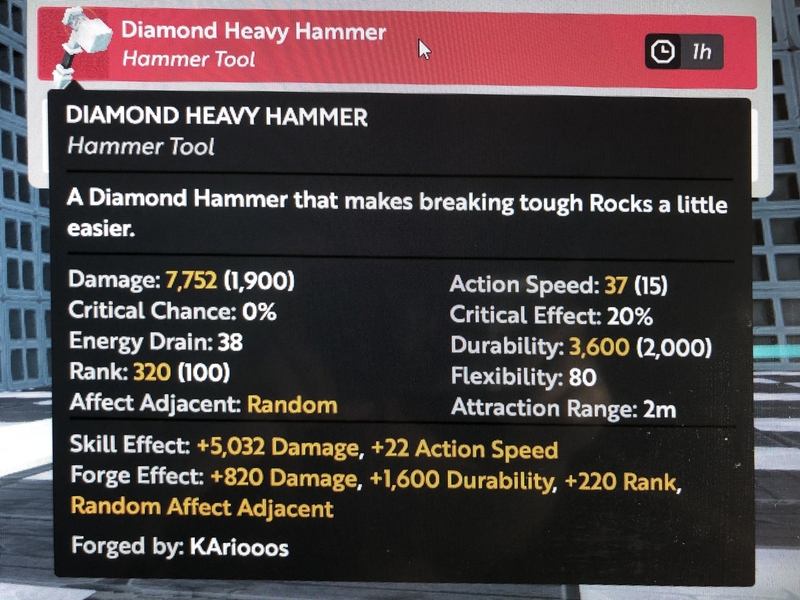 Is this a T6/T7/T8 hammer? I’m really new to this game and don’t know if this is a T6 or T7/T8 hammer (the second hammer I forged). If it is, at what price should I sell it? That random aoe should be a quirk. it has no place being a boon. It’s just garbage to even fiddle with sadly, like you said. Really nicer hammer if itn weren’t for that particular mod. Nice job for a 2nd time forge. True, I originally thought adjunct effect lv5 should be better than lv4 lol that’s why I thought it was a good hammer.